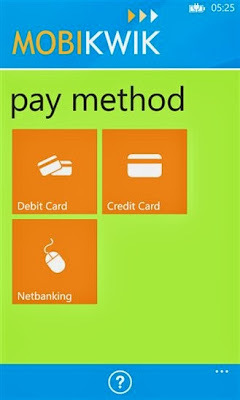 The MobiKwik app has been designed keeping Metro Design principles in mind. The Panoramic home screen makes it extremely easy to access the dashboard. So, whether you want to Add money to your wallet, access Saved Connections or Transaction History just swipe left or right and see the magic! The app uses every single pixel of the device screen and makes great use of the transitions the platform provides for an amazing user experience. The current version allows you to make a recharge or pay bill for all services currently active on MobiKwik. For payment, you can add money using any major Debit card (Mastercard, Visa, Maestro, Diners, Discover), Credit cards and Netbanking from any of the 53 major Indian banks. The app provides you a native and completely secure payment experience. You can browse plans of mobile operators, you can also save numbers of your near and dear ones and use them to make a recharge without typing anything at all.